A century before Martin Luther and the Reformation, Jan Hus confronted the official Church and helped to change the face of medieval Europe. A key figure in the history of Europe and Christianity and a catalyst for religious reform and social revolution, Jan Hus was poised between tradition and innovation. Taking a stand against the perceived corruption of the Church, his continued defiance led to his excommunication and he was ultimately burned at the stake in 1415. What role did he play in shaping Medieval Europe? And what is his legacy for today? 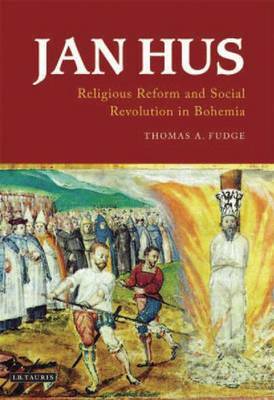 In this important and timely book, Thomas A. Fudge explores Jan Hus, the man, his work and his legacy. Beginning his career at Prague University, this brilliant Bohemian preacher was soon catapulted by virtue of his radical and popular theology to the forefront of European affairs. This book fills a real gap in contemporary understanding of the medieval Church and offers an accessible and authoritative account of a most significant individual and his role in history. Jan Hus belongs to the pantheon of extraordinary figures from medieval religious history. His story is one of triumph and tragedy in a time of chaos and change.